The Labrador Retriever needs little introduction. The most popular pet dog in both the UK and the USA, the Labrador is also the nation’s favourite working gundog. Darling of the Guide Dogs for the Blind Association, saviour of soldiers, detector of drugs and therapy dog to autistic and diabetic children, is there nothing that the Labrador Retriever cannot do! This extraordinary breed has made its mark in the world of human beings like no other dog before it. Reknowned for his easy-going temperament, general good health and biddable personality, the Labrador has carved quite a place for himself in society. Not only is the Labrador our favourite pet dog, it is also a key player in the working gundog world. The Labrador, whether he is a show or field bred type, belongs to the retriever subsection of the gundog group and is currently the most popular and successful working retriever in the UK. Like the vast majority of gun dogs, most Labradors, even those that regularly work in the field, are first and foremost family pets. Yet this is a large and boisterous dog, weighing up to around eighty pounds, and certainly makes his presence felt in any home. He has a distinctive but not unpleasant doggy odour, and moults copiously throughout the year. He could fairly be described as clumsy, with a long thick tail encompassing what we fondly describe as the ‘full body wag’ when he is happy. You will soon find a need to move your precious ornaments from low shelving when he arrives through your door. What Makes the Labrador so Great? So taking into account the bouncy, hairy, clumsy nature of this gundog breed, why is he a constant top pick for pet and gundog owners alike? It’s all down to his history as a gundog. Labradors have been carefully bred as hunting companions. Their primary role is to retrieve shot game and return it to their handler in a fit state to eat. The breed was established in England by a few enthusiastic aristocratic families during the early 1900s who imported John’s water dogs from the USA. 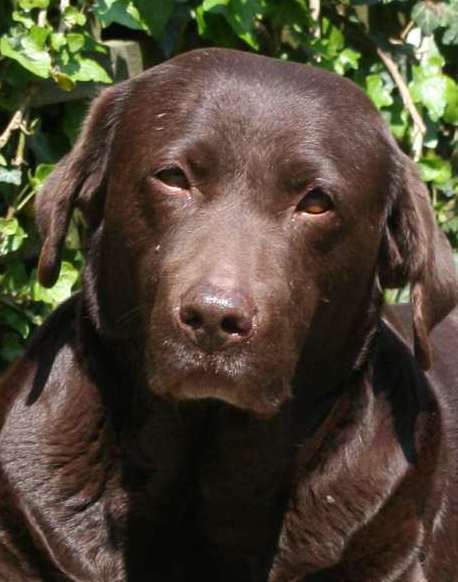 Over the last hundred or so years, the mental and physical abilities of our working Labradors have been enhanced and refined by selective breeding and we now have a breed with some extremely useful abilities and a very desirable temperament. They need to not only have fantastic natural retrieving instincts and a soft mouth, but also to be very clever and biddable. A large portion of a retriever’s job is a complex piece of teamwork between the dog and his handler. The handler will know or have been told approximately where the game bird or animal is located, but be unable to reach it himself. It is the complex training needed to achieve exacting levels of work, that requires both a clever and biddable dog who wants to cooperate with his owner. A byproduct of this is that this need has developed not only a dog who is ideally suited for gundog work, but one who can be easily trained to carry out all kinds of other tasks too. These attributes are most well developed in our Retrievers, as a result of the distance control required for their work. A similar type of intelligence and co-operative nature has arisen in some of our herding breeds for the very same reason. Because labradors were bred for so long for a physically active job, they do not suffer as badly from major health issues brought about by exaggerations in conformation as other breeds can. They are usually healthy and robust individuals. The labrador is generally speaking a physically well-balanced dog. Like all floppy eared dogs however, he is more prone to ear troubles than his prick-eared cousins. Labradors are also prone to obesity, due to their greedy nature. Even hard working Labradors need an owner who will carefully manage their portion control. These include hip and elbow dysplasia, as well as PRA blindness. They are also susceptible to some lesser known diseases such as CNM and EIC. Just like some of our other gundog breeds, the Labrador has become divided into two quite different strains of dog. In the UK they are referred to as ‘working’ or ‘show’ types, in the USA the show or bench type is often called ‘English’ and the field or working type referred to as ‘American’. Sadly, the two strains have become increasingly divided in recent years. It is now a long time since any Labrador has received both a Show and Field Champion title. He is less heavily built than his show ring cousins. His skeleton is lighter and narrower, essentially he is built for speed. Sadly, many working strain labs have lost the characteristic Labrador’s Otter tail and some have a thinner coat than labs of the 1900s. The show bred labrador may be more outgoing and unreservedly friendly. Which can be a little tricky to manage when he is a bouncy teenager. He may take longer to mature and remain very playful well into adulthood. Is a Labrador the right dog for me? The answer to that question will depend on your circumstances. If your family all work full time, or your dog is to be kennelled outdoors on his own, a labrador may not be the best choice. These are very social dogs that need company, and may develop anxious behaviours if left alone all day. If you have very tiny children, or frail family members then again, this might not be the dog for you right now. These are big strong dogs that can be bouncy and clumsy when young. If you are looking for your very first gundog, and have the time and space for him, a Labrador might be just the dog for you. If you are just getting into the world of gundog work, a Labrador is a great starting point. Labradors are generally biddable and co-operative, and often make an easier first dog than one of the hunting breeds. If you are tempted by a labrador, and if your circumstances are right for bringing a Labrador into your home, don’t be put off by the fact that this is an ordinary dog. There is a good reason that he is in many ways the most successful dog in the world. If you want to find out more about The Labrador Retriever then why not pay a visit to our sister site The Labrador Site. 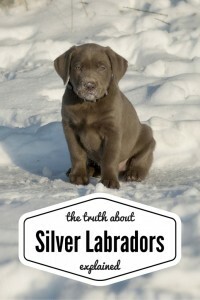 A mine of information on Labrador care, training, behaviour and more. If you would like to chat to Labrador owners you can also join the forum there, or pop along to the Labrador Site Facebook page.